August is almost here and we have more summer to endure, but folks are starting to think about their Christmas knitting. We have a plan to help. Our Christmas Projects KALs have begun, but you can join anytime. So far we have several folks working on the mittens. Here are a few. You can come sit with us, too. 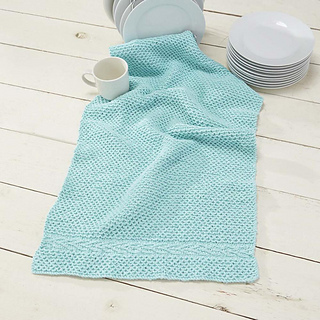 We will start the Slip Stitch Dish Towel on August 16. The American Needlepoint Guild is coming to New Orleans August 28 – September 2 and they have invited us to be the shop for the attendees. The exhibits and the shop are open to the public, so come see us and the amazing exhibits. Shortly after this huge event, Meg will be going to Market in Dallas. She wants to hear from you as to what she should be looking out for. The possibilities are endless, so share your preferences. Also, don’t forget that the Christmas finishing deadlines are coming up. We need to have your items by August 20 so we can ship them off before the deadline. I better get busy on that stocking! 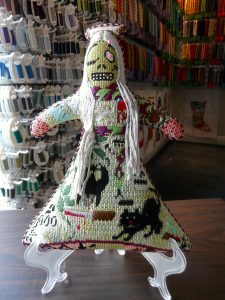 We are planning a few needlepoint classes. How about a bracelet? Won’t that be fun? Mark your calendar for September 23 for the bracelet class. We have a selection of bracelets coming from Cheryl Schaeffer and Annie Lee Designs for the class, but you can see the designs here on their website. Cost for this class is TBD. On October 28, we will be doing a Voodoo Doll. We’ve done this one before, but it’s been awhile. The class is already almost full, so let us know if you want to join in. Cost for this class is $140 and includes everything. A Clever Title Eludes Me. Last Thursday I bought a Hank of Cascade Eco. When I got home and went to ball it, it was in eight different pieces. Wrote to Cascade and received a reply which I will forward to you. Won’t be going that way for a while so can you make note of this .